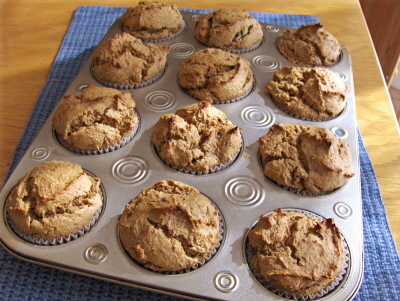 For the peanut butter lover, these are not your typical breakfast muffin. Bursting with peanut butter and a hint of spice, these moist and peanutty treats will really satisfy! A light muffin that’s perfect for a quick breakfast or snack. Great with peanut or other nut butter! Impossibly light and incredibly easy to whip up, these buns are filled with a gooey, cinnamony filling and topped with a light glaze. And they contain no hydrogenated fats or refined sweeteners!